This is a very uncommon OMEGA SEAMASTER 600 dating to 1968. This exotic black cross-hair dial having red accents is completely original-including the hands and lume. This dial really looks fabulous with red cross-hair design and OMEGA symbol. The 32.5mm. SEAMASTER screw-back case is the smaller mid-size, as all these watches were-meaning to be discreet and sporty on the wrist. 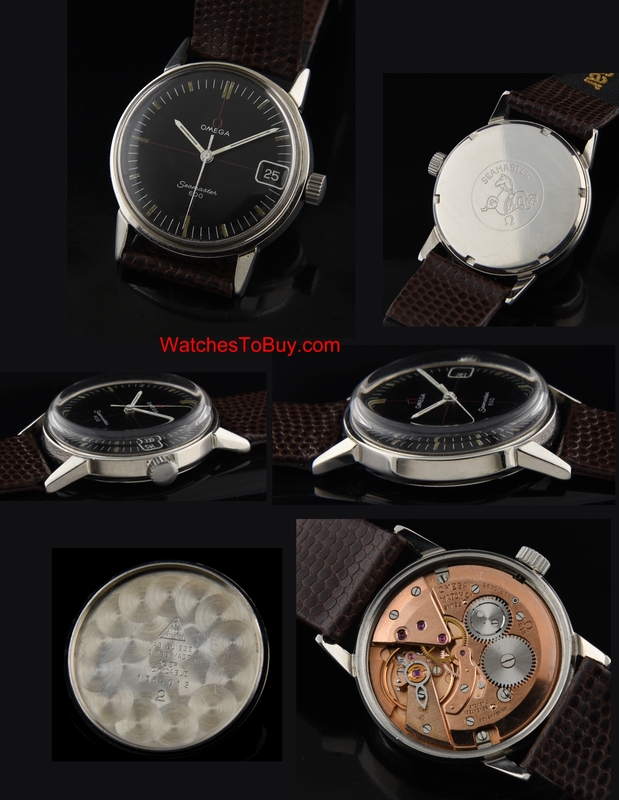 The caliber 613 manual winding movement was just cleaned and is accurate and reliable. The winding crown is generic. 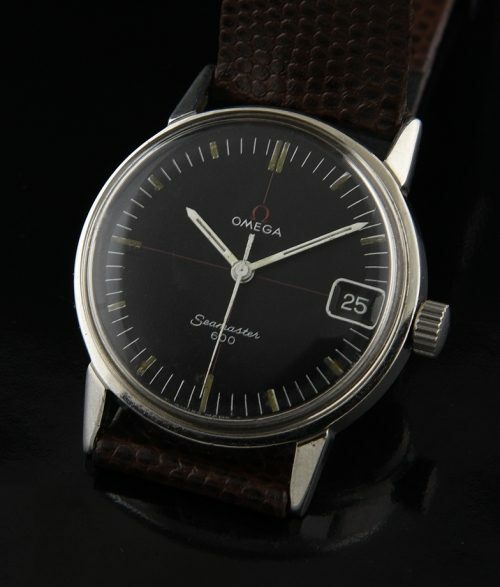 This is a very collectable and uncommon vintage OMEGA. $1195.